L.L.Bean employees have taken on an extraordinary goal to document every scenic view as they hike all 2,190 miles of the Appalachian National Scenic Trail (A.T.). Traveling in relay teams as they tackle the length of the Trail, L.L. Bean employees are photographing and evaluating scenic views. The criteria are part of the National Park Service (NPS) “Enjoy the View” a visual resource initiative which was introduced in 2014. 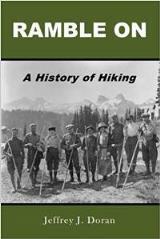 "L.L.Bean is proud to partner with the Appalachian Trail Conservancy and the National Park Service to document the exceptional and beautiful locations that caused Congress 50 years ago to create the Appalachian National Scenic Trail,” said Janet Wyper, manager of community relations for L.L.Bean. "L.L.Bean's mission is to encourage the shared joy of the outdoors for both current and future generations. Our employees’ experience and participation in documenting views along the A.T. shines a light on this important trail which begins in Maine, where L.L.Bean is headquartered, and ends in Georgia." Working closely with the Appalachian Trail Conservancy (ATC) and NPS, L.L.Bean challenged employees to collectively hike the A.T. to build esprit de corps to showcase the physical wellness benefits of spending time outside and to encourage hikers of all abilities to visit the A.T. this summer. More than three million people visit the A.T. each year. As of the end of June, L.L.Bean employees had collected over 87 panoramic photos for further documentation and analysis. The ATC intends to use the photos and accompanying data to highlight the A.T. as one of the most important landscapes in the eastern United States. "This volunteer effort by L.L. Bean employees will help trail managers in locating candidate sites for more detailed assessment and will provide important observations about the Trail’s scenic resources from a motivated and trusted Trail partner," said Wendy Janssen, NPS Superintendent of the Appalachian National Scenic Trail. The goals of “Enjoy the View” tie closely with those of the A.T. Landscape Partnership, a coalition of organizations led by the ATC and NPS to protect the unique natural, scenic, recreational and cultural resources of the A.T. For more information on the landscape partnership initiative, visit www.appalachiantrail.org/landscape-partnership. In celebration of the 50th anniversary of the National Trails and National Wild and Scenic Rivers Systems in 2018, the National Park Foundation today announced a grant to the Appalachian Trail Conservancy (ATC) in support of its Improving Overnight Site Infrastructure Experience initiative on the New England portion of the Appalachian Trail (A.T.). The New England section of the 2,190-mile A.T. spans five states and 734 miles with 133 designated overnight sites. The A.T. is currently experiencing rising annual visitation rates, with the number of visitors doubling in the past four years. This has placed additional strain on these popular overnight sites, many located in environmentally fragile areas. The Improving Overnight Site Infrastructure Experience initiative will help reduce this strain by upgrading outhouse facilities to moldering toilets, mitigating hazard trees and improving tenting opportunities. This project is one of 20 across the country being funded by the National Park Foundation as part of this effort. All project descriptions can be viewed on the Rivers and Trails 50th Anniversary Grants Map. National Park Foundation Find Your Park/Encuentra Tu Parque partners, The Coca-Cola Company and Nature Valley, are proud to support this effort. Additional support comes from partners Niantic and Bandit Wines. Big South Fork National River and Recreation Area would like to remind everyone that the deadline for submitting entries for the 2018 Big South Fork photography contest is August 3. Images may show wildlife, plant life, natural landscapes, historic areas, weather, or people interacting with nature within the boundaries of Big South Fork National River and Recreation Area. All photographs, except those submitted in the artistic category, should accurately reflect the subject matter and the scene as it appeared. • Tennessee Landscapes -- Expansive and dramatic views of the land and its features within the Tennessee park boundaries. Entries will be judged on technical excellence, originality, creativity, visual impact, and artistic merit. Judges’ decisions are final. Selected images will be printed for an exhibition at Bandy Creek Visitor Center that will open on Saturday, September 1, 2018. Selected images may also be displayed on the internet and other venues. The contest is open to all photographers, except NPS employees and their immediate families and household members. Each person may only submit two photos into the competition. All photos must be in a digital format. Entries must be received no later than the close of business Friday, August 3, 2018. Each entry must be accompanied by a completed entry form with all information clearly filled out. Entry forms may be downloaded from https://www.nps.gov/biso/planyourvisit/biso-photo-contest.htm. 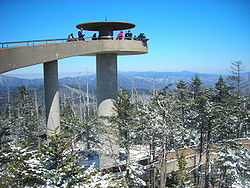 Great Smoky Mountains National Park officials announced that the Clingmans Dome Observation Tower will be closed Tuesday, July 10 through Friday, July 27 to complete a rehabilitation project that began last year. The remaining final surface overlay work was scheduled to be completed earlier this summer; however, numerous rain events resulted in the delay of the project. While visitors will not be able to climb the tower, the Clingmans Dome parking overlook area will remain open and offers outstanding mountain top views. The visitor contact station and store, the trail up to the tower, and all access to the trailheads in the vicinity will remain open. Visitors will also have the option of hiking out to Andrews Bald for outstanding views as well. Visitors should expect some construction traffic in the vicinity of the contact station and along the trail.